In January 2018, fototazo celebrated its seventh anniversary, giving us our annual opportunity to take a look back at the past year and ahead at plans for 2018. This is also the "yearly report" required as part of fototazo's 501(c)3 non-profit private operating foundation status. This post will begin by looking at the work of the organization offline, then it will discuss its online content. The site's primary mission is the development of a program of support for a selected group of young, emerging Colombian photographers through microgrants used for equipment purchases as well as private classes in Medellín that I teach for those that receive microgrants. All content on the site works to create viewership to fund the site's primary mission. In 2017, the microgrant program raised $3,021. Thank you to those who have contributed – this site continues because of your contributions! 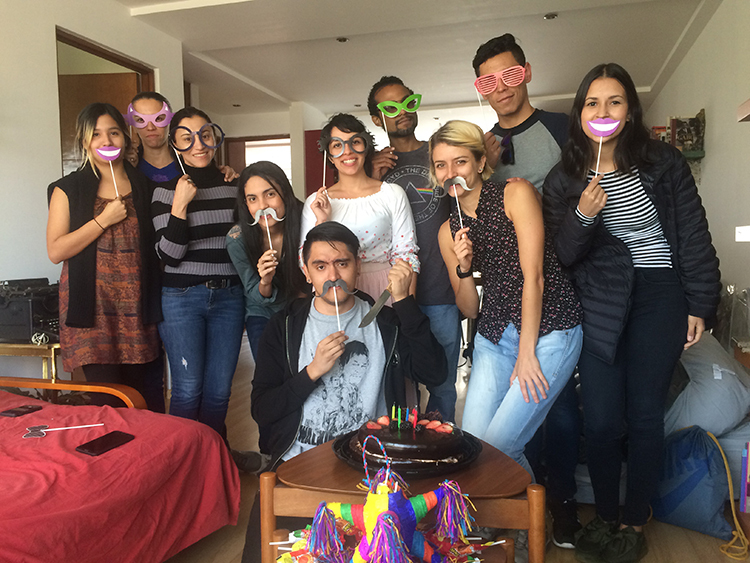 The entirety of those funds were combined with funds raised in 2016 to take ten former microgrant recipients from Colombia to Mexico City to support their continued education and development. 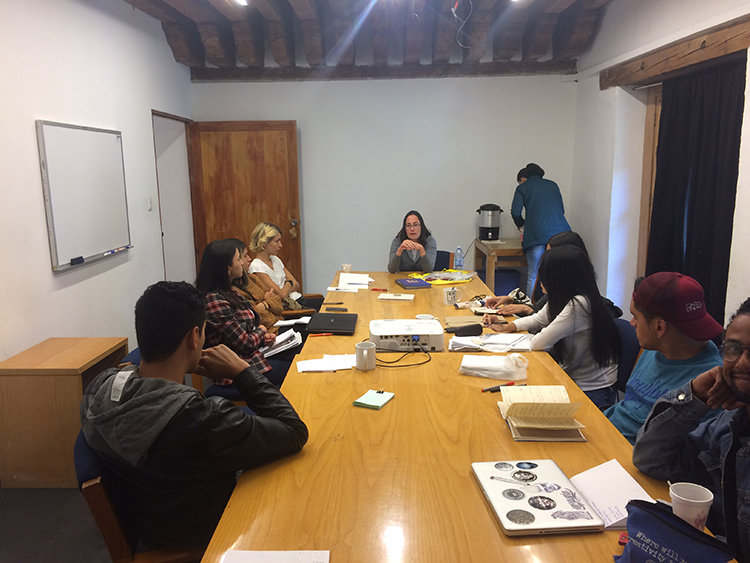 They attended intensive workshops in Mexico City at Centro de la Imagen with Valentina Abenavoli, Patricia Lagarde and Yvonne Vanegas in an event entitled Folio 001 as well as additional workshops outside the event with Larissa Leclair and Mariela Sancari. We next stopped in Oaxaca for visits to Acervo de Toledo, Centro de las Artes San Agustín, Centro Fotográfico Manuel Álvarez Bravo and Instituto de Artes Gráficas de Oaxaca as well as to meet with Eva Lépiz. 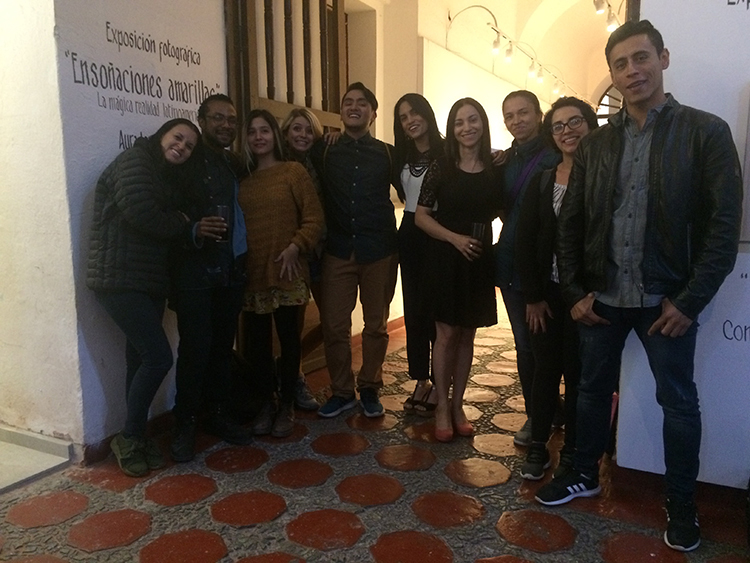 The group consisted of Alba Bran, Andrés Sánchez, Angélica María Restrepo, Aura Lambertinez, Eric Robledo, Edwin Ochoa Vélez, Juliana Henao Alcaraz, Margarita Valdivieso, Mónica Lorenza Taborda and Natalia Lopera. Additionally, fototazo worked with Larissa Leclair to place Natalia Lopera in the Leclair Residency in DC during the summer of 2017. The grant program is currently being reviewed for potential changes to its structure. I would like to extend a thank you to all of the 2017 contributors of images and words for their help in providing content for the site. Over the last few years, I have produced fewer posts as I dedicate more time to the real world projects fototazo is involved in. In 2017, content reflected an ongoing shift towards Latin America as I actively work to use the site to serve as a bridge between Latin American photographers and an international audience through an English language platform. In addition to Latin American posts, I also plan to continue to occasionally post essays, interviews and short series on topics such as recent series on editing and developing projects. I would like to extend a thank you to the fototazo Board of Directors composed of business leaders Yaron Ben-Zvi and Raphael Crawford and photographer Amani Willett and also to the fototazo Advisory Board, which includes photographers Laura McPhee and Gabriel Mario Vélez, for another year of service in their roles. Finally, thank YOU for following the site and choosing to spend your time reading what we publish from among all of the many quality photography sites that exist. We look forward to taking another step in 2018. Eternal thanks to these special ten.